How to find Unclaimed Insurance Policy details online? How to Claim it? You are here: Home / Insurance / Life Insurance / Unclaimed Insurance Policy amount : How to locate, find & claim it? 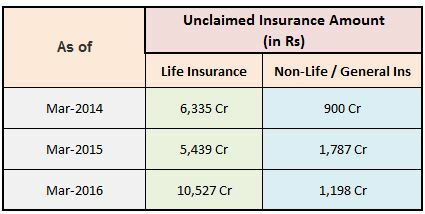 Unclaimed Insurance Policy amount : How to locate, find & claim it? Some people, maintain records of their investments and some people just ignore / forget about their investments. Some others, do not even let their family members know about their investments, including details of their life insurance policies. 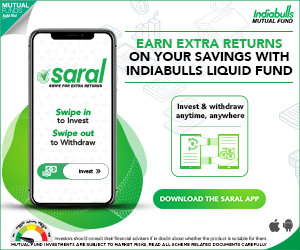 There are chances that your investments become lost when you move house and forget to update your details with a financial institution or company. As per the recent estimates, the Unclaimed Deposits lying with Banking institutions are around Rs 6,835 cr as on 31-12-2015. In 2014, this figure was Rs 4,998. As per the IRDA’s latest report, unclaimed money worth nearly Rs 15,167 crores (as on March 31, 2018) is lying idle with Life Insurance Companies. Let’s say, Mr Rajiv takes a life insurance policy and nominates his son (Mr Rahul) as the nominee. He has never shared the information about this policy with Rahul / family members. Rajiv has met his untimely death. After a year, Rahul finds the life insurance policy bond, wants to find this unclaimed insurance policy amount and claim it. Similarly, there can be different reasons for the unclaimed insurance money lying with Life Insurance (or) Non-life insurance companies. How to find out about Unclaimed Insurance policy amount online? IRDA (Insurance Regulatory and Development of India) has issued clear guidelines to all insurance companies (life & non-life) to provide unclaimed insurance money details on their respective websites. If the unclaimed insurance policy amount is more than Rs 1,000 then you can identify it online by visiting respective insurance company portal. How to search for Unclaimed LIC policy amount online? 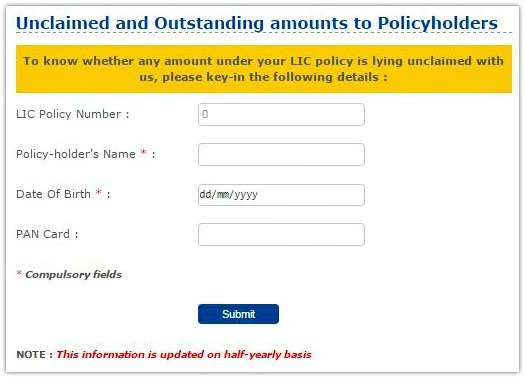 Kindly visit this LIC’s Unclaimed & Outstanding amounts to Policyholders’ link. Provide the required details and locate unclaimed insurance policy amount. 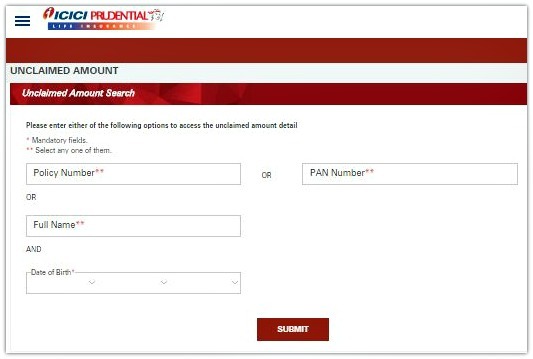 How to locate Unclaimed insurance amount lying with ICICI Prudential? Click on ‘Unclaimed Amount – Check Amount’ option. Kindly provide the required details and locate your unclaimed insurance policy amount. If the information in any two fields matches with the insurer’s records, the unclaimed amount lying with the company gets displayed. The policy-holder’s name and address will also be displayed. Kindly visit this link to get unclaimed policy details. You have to provide Policy holder’s name and other details (which are optional) to know about unclaimed amount. How to claim unclaimed Insurance amount? If the claim is made by the policy holder himself then the insurer will ask for a cancelled cheque and Policy bond. You have to approach the home branch or zonal office of your life insurance company and claim the unclaimed money. If it’s a death claim, and a nominee is claiming the amount, a WILL left by the policyholder will make it very easy for the nominee to claim benefits / amount with an insurer. Kindly note that for a death claim, insurer will take bank details of the nominee. As per the new nomination rule (2015), the concept of ‘Beneficial Nominee‘ has been introduced. Beneficial nominees are direct dependents of the policy holder i.e., Spouse, children or parents. As per Insurance Laws (Amendment) Act, 2015 – If an immediate family member such as spouse / parent / child is made as the nominee, then the death benefit will be paid to that person and other legal heirs will not have a claim on the money. If you (policyholder) nominate your spouse, children or/and parents, they would be Beneficial Nominees. No one else can claim your life insurance policy monies. For example : If you nominate your spouse as beneficial nominee, no one else (even other legal heirs) can have right on the death claim proceeds. So, the concept of beneficial nominee is like a WILL. If there is no ‘Will’ and no nomination in the insurance policy, the legal process will have to be followed. In such a scenario, the insurance company discharges the claim amount to the Class I legal heir, that is, to son, daughter, spouse and mother. Monitor and Track all your investments regularly. Try to invest online wherever and whenever it is possible. Update your latest contact details with your bank or other financial institutions. Keep your family members updated about all your investments. Assign nominees for all the investments. Nominee Vs Legal Heir – Who will own your Investments / Assets? Unclaimed Bank Deposits – Search, Find & Reclaim! How to claim Unclaimed Investments in Shares, Mutual Funds, Provident Fund, Income Tax refunds etc.,? Can you provide the source for the year wise data of unclaimed funds shown in the article. I visited the IRDAI website and downloaded the annual report, but was unable to find the same in it. I would have got this information on net (News portals like ET). We can get this information on respective insurer portals as well. As per IRDA – all the insurers are advised to disclose the amount representing unclaimed sum as a separate line item in Schedule 13 – “Current liabilities” of the Balance Sheet. Further, its age-wise analysis also to be disclosed in the prescribed format. An insurance policy is bought to secure the future, but what if the claim is rejected by the insurer? -Reach out to the Grievance Redressal Officer (GRO) of the insurance company. -Always take a written acknowledgement of the complaint with the date. The insurance company should resolve the grievances within 15 days. However, if the insurer fails to resolve the grievance within the stipulated time, a policyholder can approach the Insurance Regulatory and Development Authority of India (IRDAI) within a year. Or, complaints can be mailed to the IRDAI head office situated in Hyderabad. According to IRDA, a complaint should state clearly the name and address of the complainant, the name of the branch or office of the insurer against whom the complaint is made, the facts giving rise to the complaint, supported documents if any, the nature and extent of the loss caused to the complainant and the relief sought from the Insurance Ombudsman. The Ombudsman gives his recommendation within one month if parties agree to a mediation; otherwise, an award is passed within three months from the date of receipt of all requirements from a complainant. An insurance company has 30 days to comply with the award. However, if the complainant is unhappy with the award he or she can approach the consumer forum. The award is binding on insurance companies, though. Besides these, IRDA has come up with an Integrated Grievance Management System. Policyholders can use this system to register and track their complaint, both with the insurer and the IRDA. -Log in to igms.irda.gov.in and create a profile for registering a complaint. 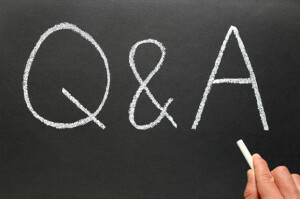 -Fill in all the necessary details related to the grievance. A complaint registered through IGMS flows to the insurer’s system as well as the IRDA repository. The complainant would receive a confirmation email after registering the complaint along with IRDA token number which will be used by IRDA and Insurance Company for tracking of the complaint through IGMS. Once a complaint is registered to the IGMS, the details of the complaint are passed on to respective insurance companies. If the complainant is not satisfied with the resolution provided by Insurer, the complaint can be escalated for a review by IRDA for a potential violation of Regulations through IGMS. Many have cheated me in Max Newyork life insurance & icici prudential too,but I am single lady and sick so no one helped me. Now also I have two plots near Magadi road (Niceroad)4400sf. Will help me for selling my plot & will call me or write me? Dear Ulhas Ji..How can I assist you?? Thank you! Keep visiting ReLakhs and kindly do share the articles with your friends.